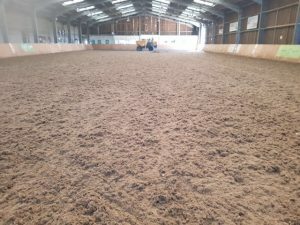 Equestrian Surfaces Ltd have undertaken works to the existing indoor arena at Sparsholt College within the Christmas period so that when the students return they have a fantastic new arena to ride within. 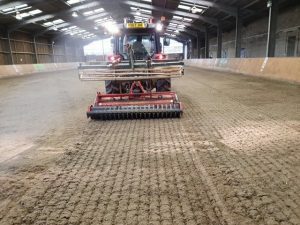 The arena had the top inches of tired worn out surface removed, the lower surface was then power harrowed to rejuvenate and new laid on top. 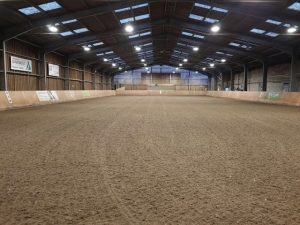 The arena now looks fantastic ready for the open day on the Saturday 3rd February . 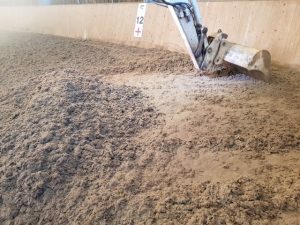 Leading Show Jumper Nigel Coupe gets a re vamp!